Want to be known as the famous designer who provided the logo for Your Guerrilla Marketer? Enter our contest! The person or company who is picked for their logo design will win a One Hour Marketing Coaching Session with Rick Verbanas, Your Guerrilla Marketer! Get exposure! ALL finalists will be displayed on this site for everyone to see and provide comments, including your contact information and link to your site! Submissions will be accepted through March 21, 2012. 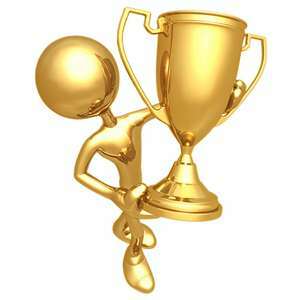 The winner will be announced on Friday, March 30, 2012, via e-newsletter and on this site. Simply email your submission as both a jpg and psd file to rickverbanas@bellsouth.net by 3/21/12. Please include you or your company’s contact information, as you would like it to be displayed. You must include a contact name, address, email and phone number. You will receive an email confirming your entry. Hint: The words Your Guerrilla Marketer need to be incorporated in some way. The logo could be any size, although keep in mind it may replace the heading currently on the site. Your submission could be an eye-catching font, a clever design or, even, a cartoon character. Be creative! The theme should make one think of Guerrilla and/or marketing tactics. Please note: By submitting your logo in to the contest, you 1) claim no other entity has rights to any artwork or design you used in your submission, 2) you release all Trademark and Copyright rights and/or claims to Rick Verbanas, and 3) give Rick Verbanas full permission to use the logo(s) in any form. The winner will be notified by Rick Verbanas to schedule their One Hour Marketing Coaching Session. The winner will have until 6/30/12 to redeem their prize. Good luck! Know graphic artists or designers needing some exposure? Use these links below to forward this page to them! Pingback: FAMOUS LOGO EVOLUTIONS - IS IT TIME TO CHANGE YOUR LOGO?